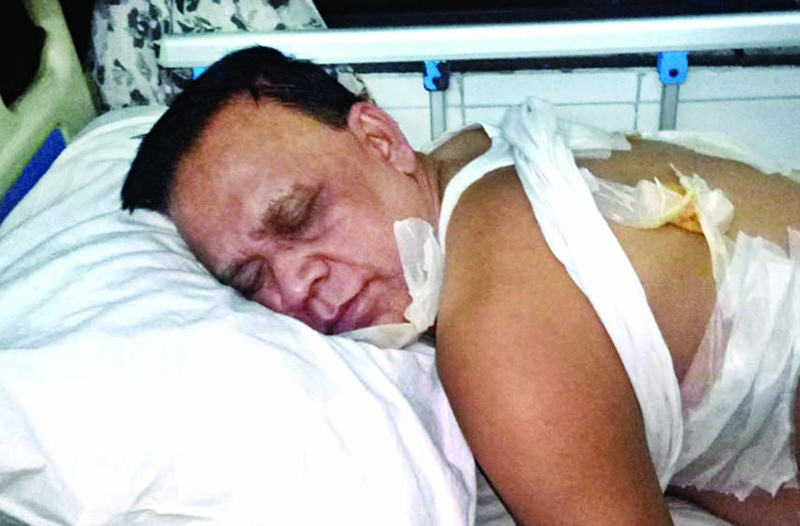 BNP candidate for Noakhali-1 constituency Barrister Mahbub Uddin Khokon and three other party activists reportedly suffered bullet wounds and 20 others were injured in an attack allegedly by Awami League men in Sonaimuri Bypass area of Sonaimuri upazila on Saturday afternoon. Sonaimuri upazila BNP President Motahar Hossain Manik claimed that when they reached Sonaimuri Bazar after a meeting at Sonaimuri High School ground, a group of Awami League leaders and activists swooped on them. However, Inspector (Investigation) of Sonaimuri Police Station Emdadul Haque said that a group of BNP leaders and activists led by Khokon brought out a procession in the area with sticks after Maghrib prayers. Asked about the bullet injury, the BNP candidate received, the police official claimed that there was no firing. "He might have hurt himself by crude bomb splinters," he said.